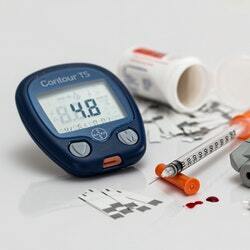 The U.S. Food and Drug Administration (FDA) recently released a safety alert regarding the proper use of insulin pen needles. The organization has received reports of patients using standard pen needles for injecting insulin without first removing the inside needle cover. When the inner cover is not removed, the needle will not puncture the skin, and patients may not receive their dose of insulin. In some reported cases, hyperglycemia occurred. Pen injectors may be used in either standard or safety pen needles, which may contribute to confusion about how to use the pen needle properly. To eliminate confusion, healthcare providers should train both patients and caregivers on the proper use of insulin pen needles. These findings were published on Medscape on September 27, 2018.